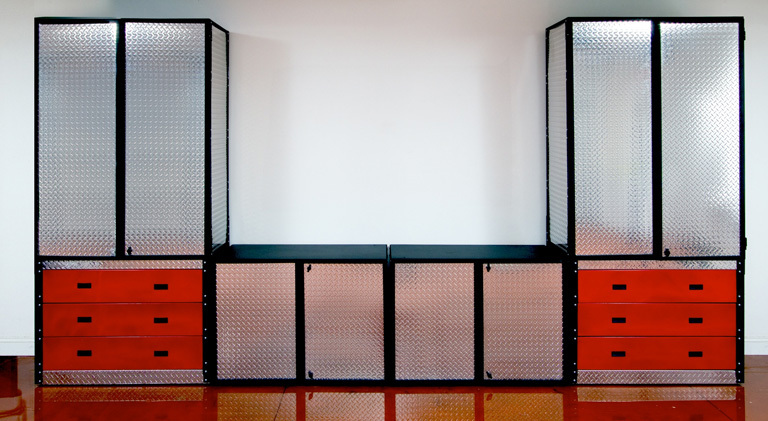 Garage Fabricators cabinets are constructed of only the highest quality materials, and built not just for appearance, but for durability. Unlike the typical "big box" garage cabinets, these cases are made to be moved, transported and loaded over and over again. 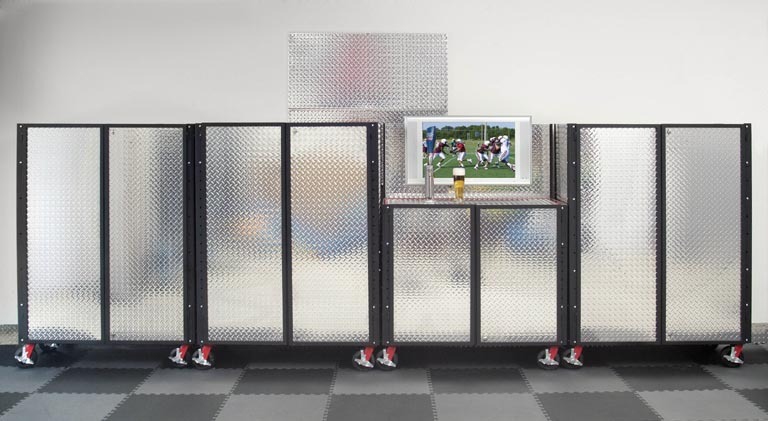 We have designed a complete mobile storage system that will allow you to create your own little NASCAR touring setup, or just organize & upgrade your garage. These cabinets are designed to fit perfectly within a standard 96" ID wide car trailer. In most situations, you can load 4-6 carts in front of the space a regular car will take up within the trailer. Garage Fabricators is a Division of HMC Display, a manufacturing company founded in 1967. We manufacture and ship out of both Central California, and Charlotte, North Carolina. If you are seeing a blinking icon to the right, you need a Flash Player Update.